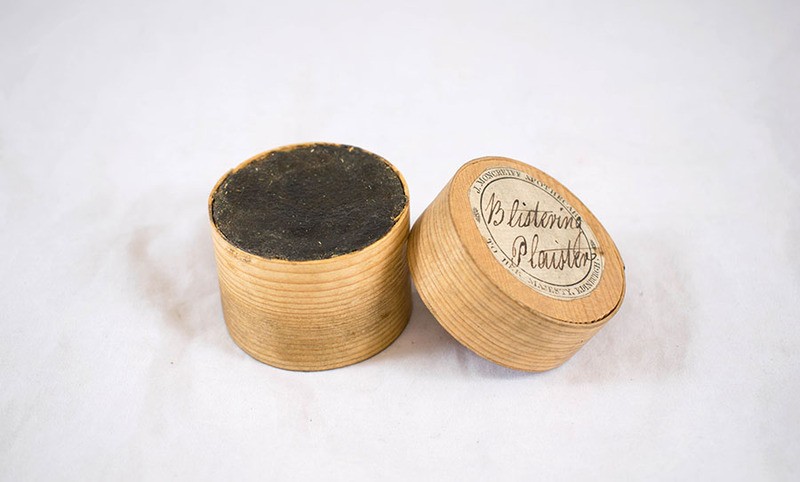 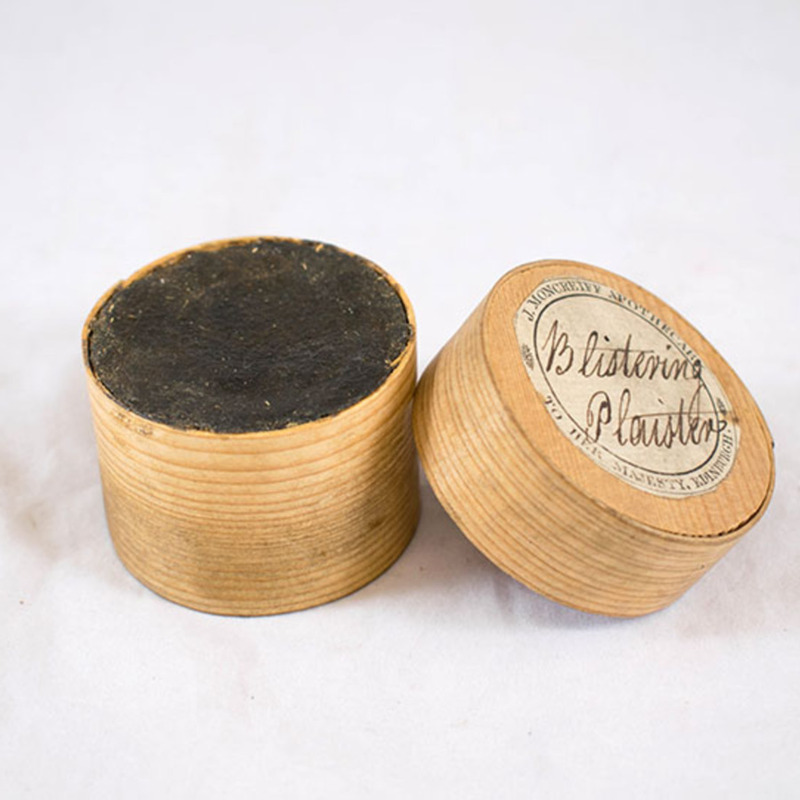 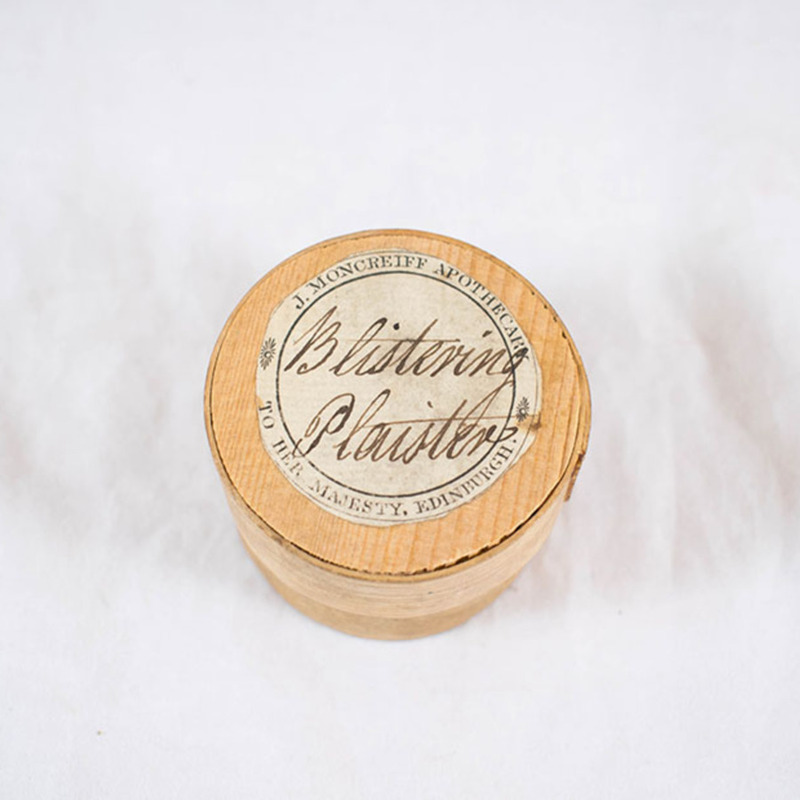 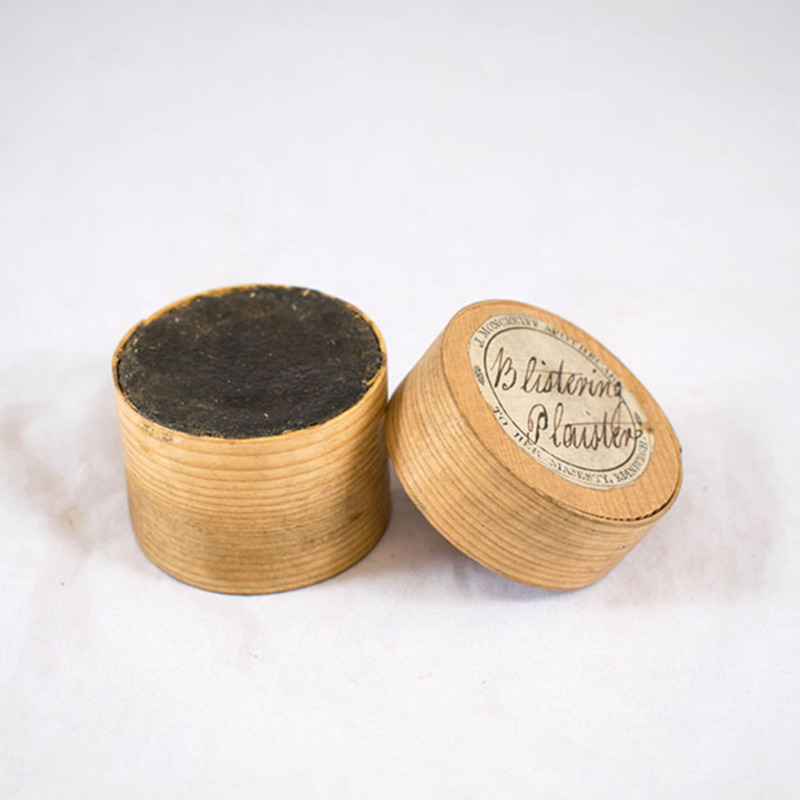 Small, round wooden box labelled as "blistering plaister". 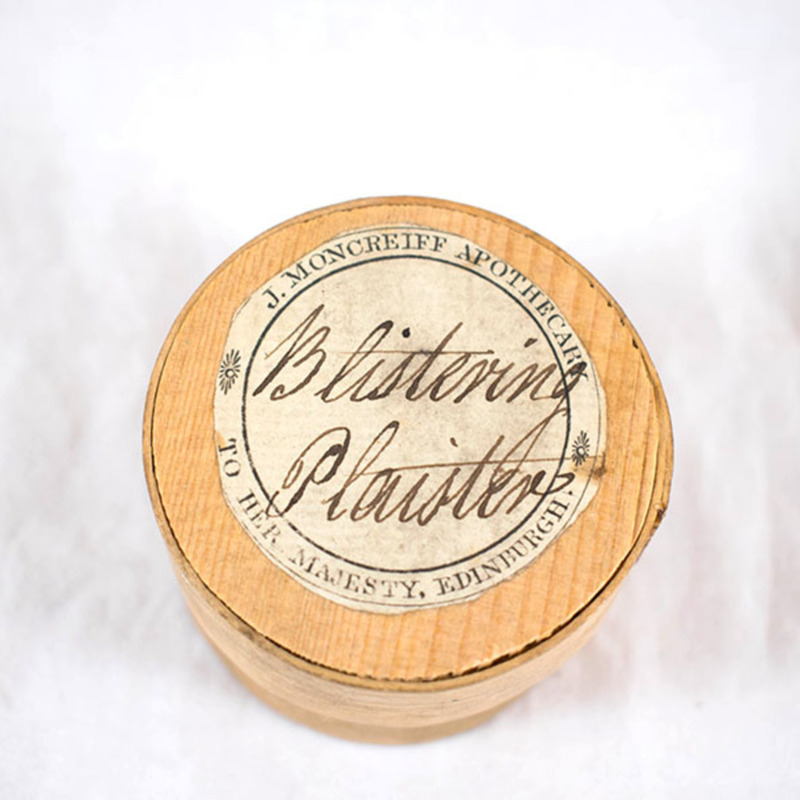 Part of George III mahogany apothecary's box. 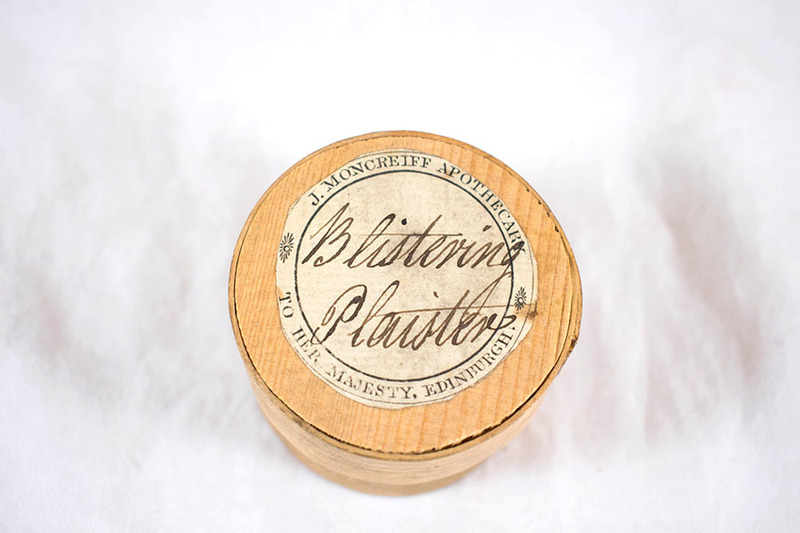 Moncreiff; John (1760-); Apothecary, “Blistering plaster,” Heritage, accessed April 20, 2019, https://heritage.rcpsg.ac.uk/items/show/798. 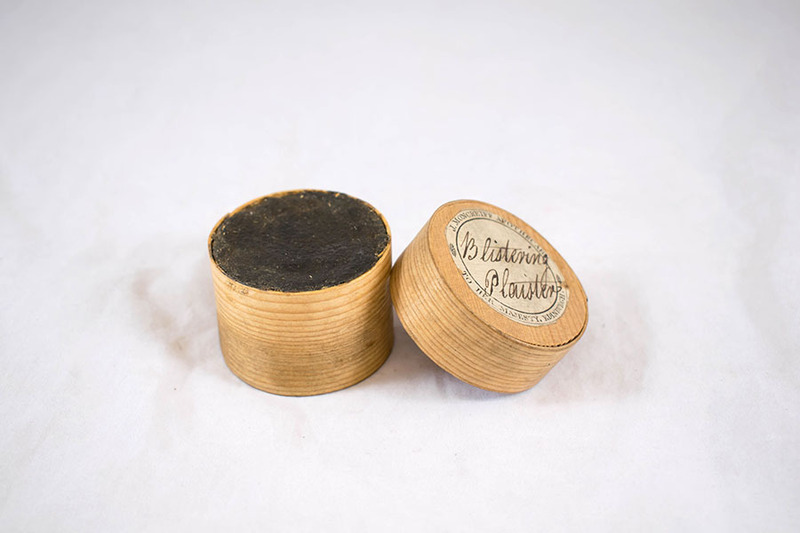 Description: Small, round wooden box labelled as "blistering plaister". 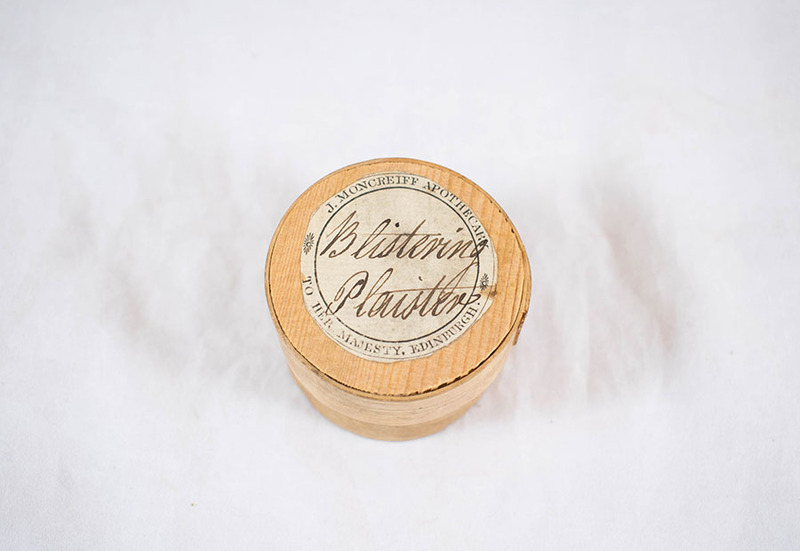 Part of <a href="https://heritage.rcpsg.ac.uk/items/show/109">George III mahogany apothecary's box</a>.